Sue is a Hampshire based artist specialising in watercolour. Her paintings reflect the landscape she lives in and places she has visited and loved, where each painting is a personal reflection of the subject which inspired her. 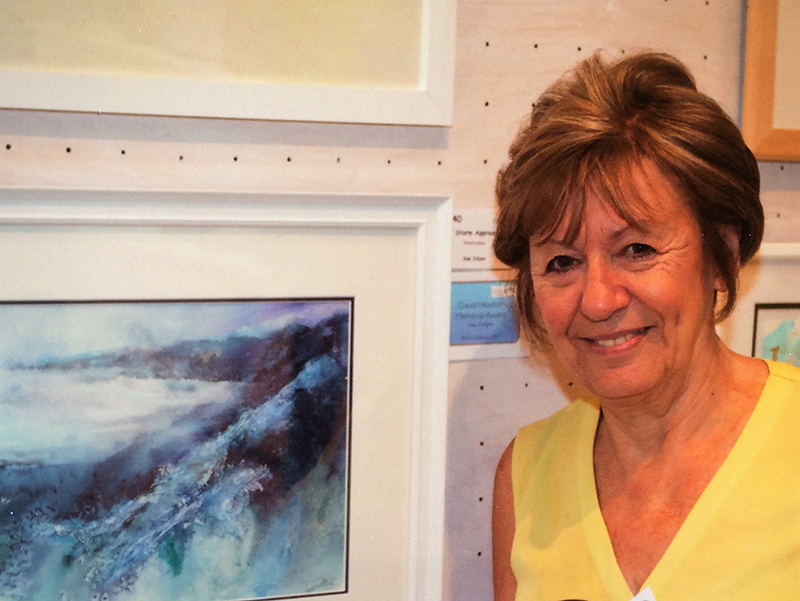 A self-taught artist, Sue works in her chosen medium of watercolour and loves to push the medium beyond its traditional use. Her work can be seen in galleries and various exhibitions and events throughout the year. She sells original watercolours, Giclée prints which are available as framed works, double mounted ready to frame or printed directly onto canvas and a large selection of blank greetings cards based on some of her original works. See the Events page for details of where her work can be seen.